Zero Waste Scotland has launched a new initiative encouraging organisations to take action and reduce litter. The initiative is open to any organisation in Scotland that wants to demonstrate their commitment to the environment and their community. Please note: This resource was updated on 22/12/17 to include an example completed plan from City of Glasgow college. Available to download from the right of this page. 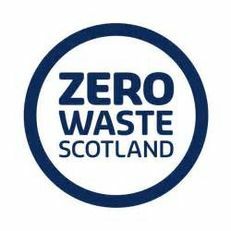 Zero Waste Scotland can provide expert advice, support and a range of tools which can help you identify where you can take action. 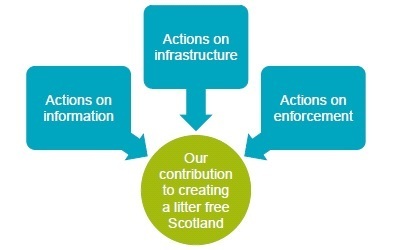 You can also be assigned a litter advisor to help identify the most appropriate actions for your institution, and help develop your action plan. The consultant contact details for Litter Prevention Action Plans is Helen Sankey, Ricardo EE. Zero Waste Scotland is a regular contributor to our Waste Management Topic Support Networks, most recently visiting our July 18th 2017 meeting at the University of Dundee to discuss this new initiative. The minutes from this presentation and the discussion around this topic are available here. For more details, email or visit Zero Waste Scotland.